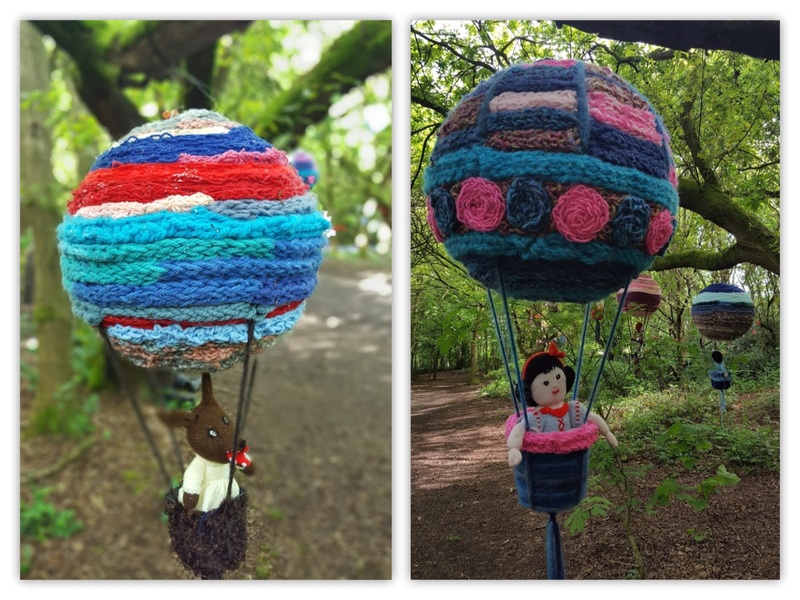 We have just taken down the Woollen Woods and 2018 has been an amazing year. The sun has been very good to us and more individuals and groups have joined in the fun. 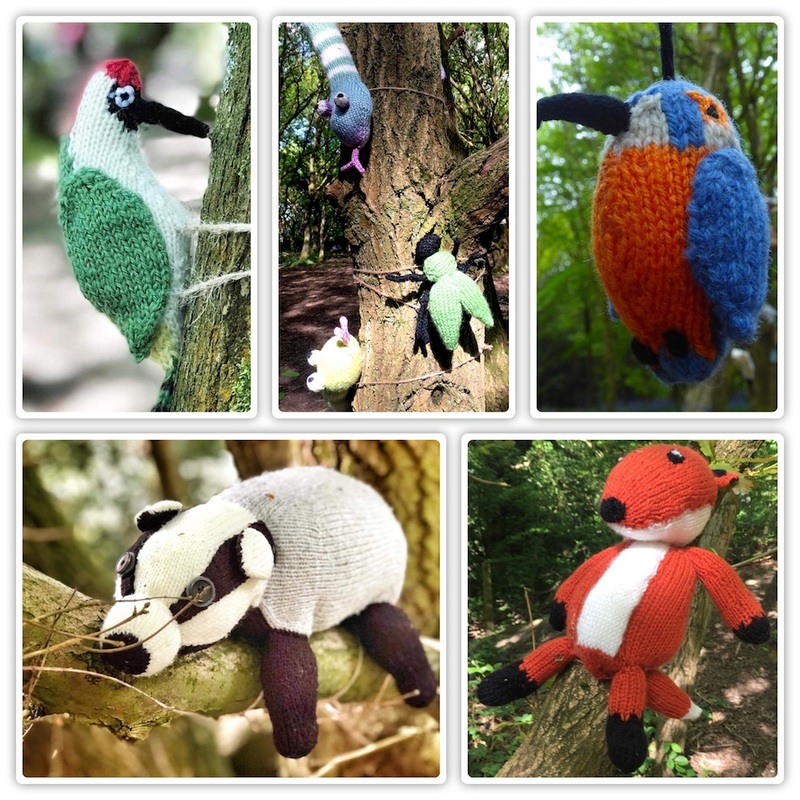 I have written about previous years on this blog and also linked to videos Woollen Woods 2015 . This one was created for us by a Derby company https://www.ablewild.com . We were written about on the Angel Eden Blog in 2016 and there are links to videos on their page. 2017 was very wet year but people still visited and we added two story sessions with the help of Lauren from Into the Wild Wood. There were also two new videos Part 1 and Part 2 .I am still waiting to see if we have any videos from this year’s event. 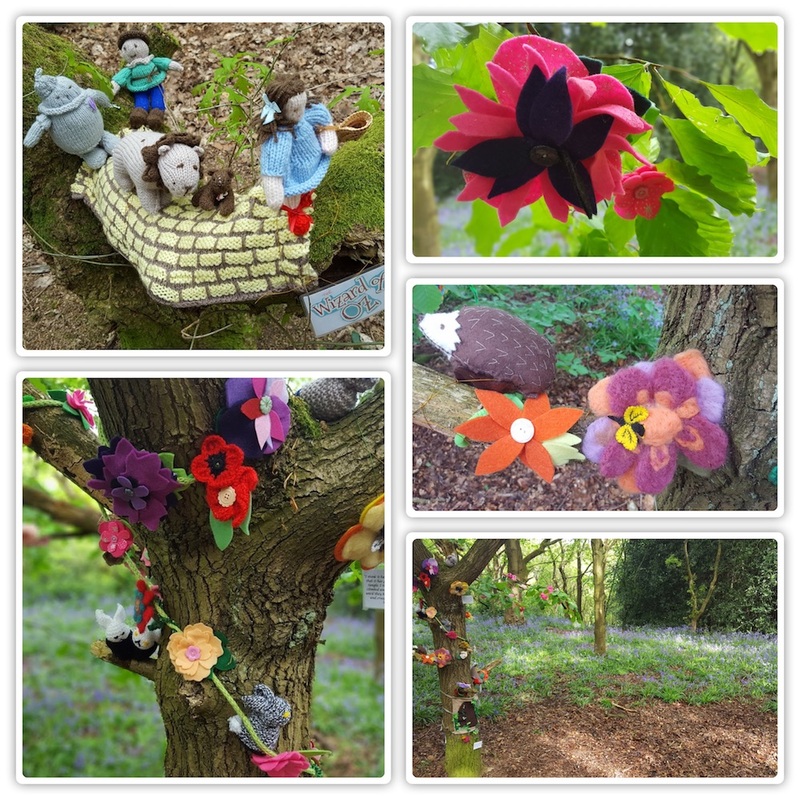 I do know however that hundreds of photographs have been taken and I am going to share a few to show some of the amazing new trees we had in 2018. 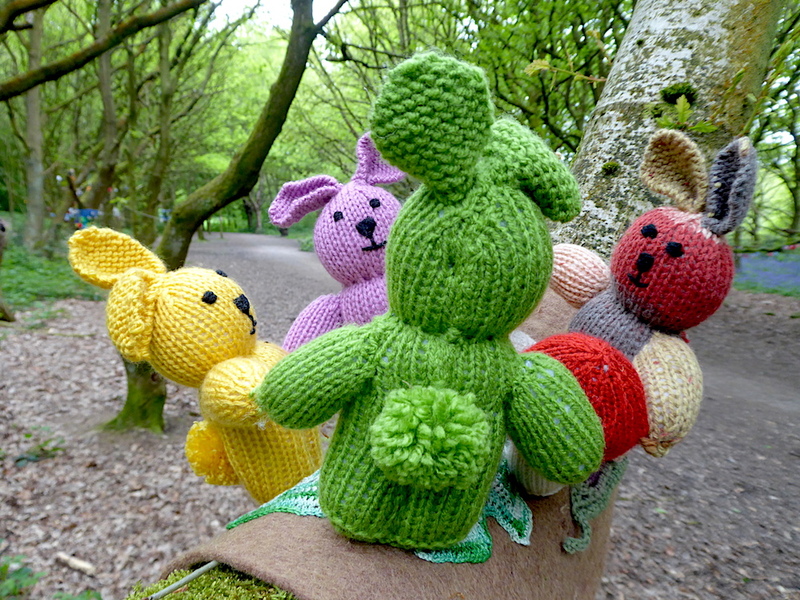 A Tree hugger was seen in the woods as was a Viking Tree. 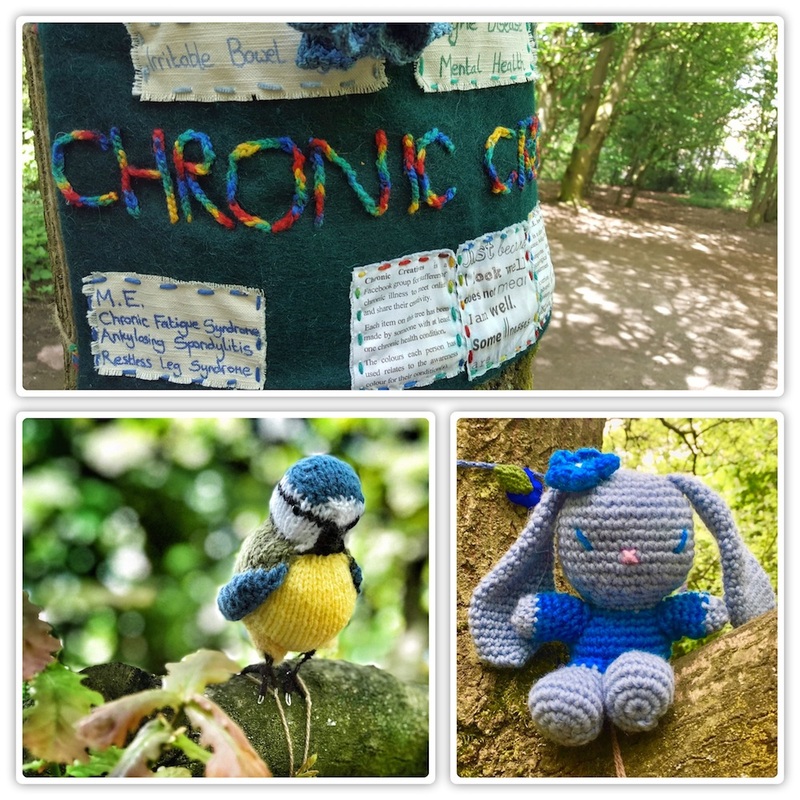 The photos below show a very small part of a large tree decorated by a group called Chronic Creatives. 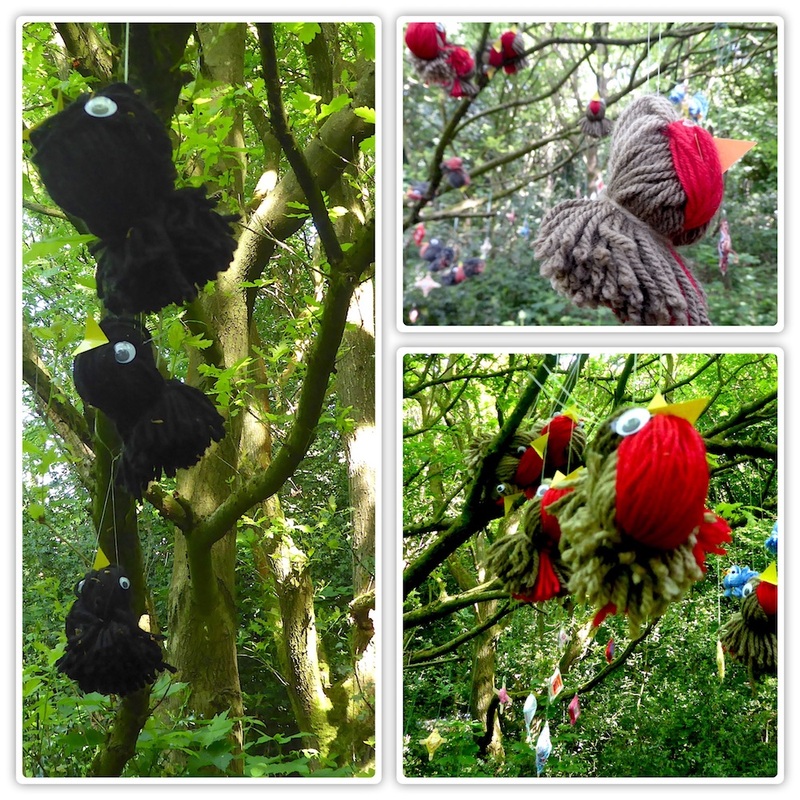 Items for the tree were made by people who are often unwell and unable to leave their homes. 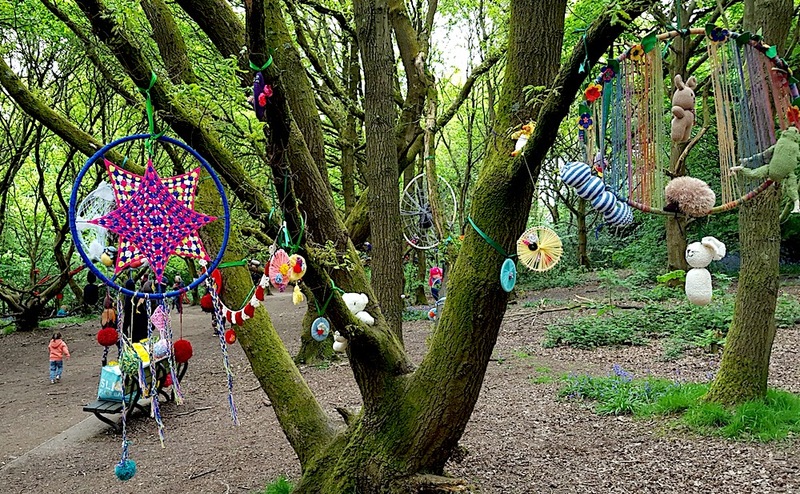 The next amazing tree was made by a group called Chatterbox, they are a group of adults with learning difficulties who meet socially once a week and often do something creative. 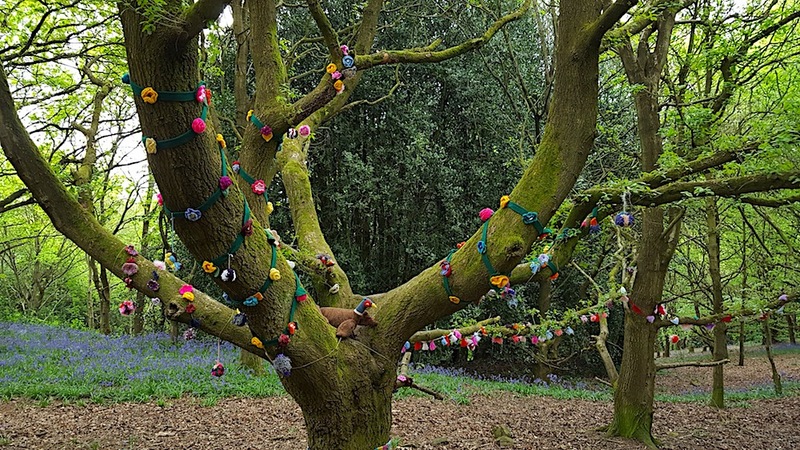 This large tree covered in flowers and birds was made by the volunteers of Kedleston Hall National Trust. 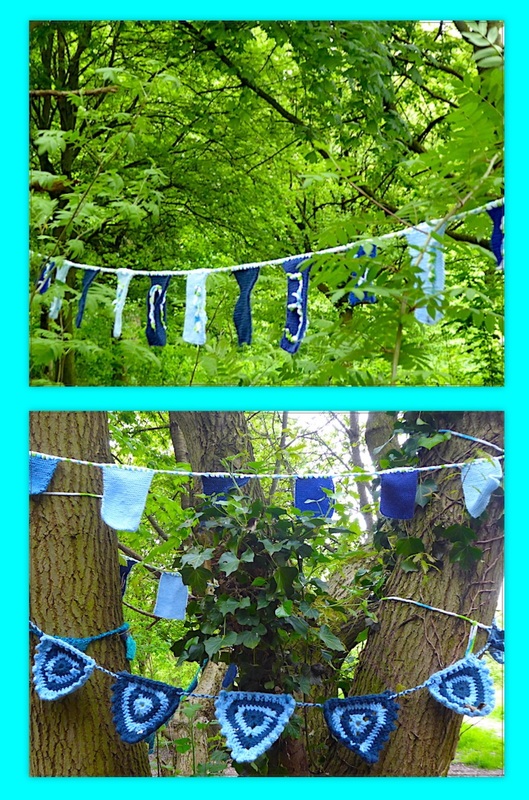 The beautiful blue bunting was made and hung in the trees by the Blue Box Community Group. 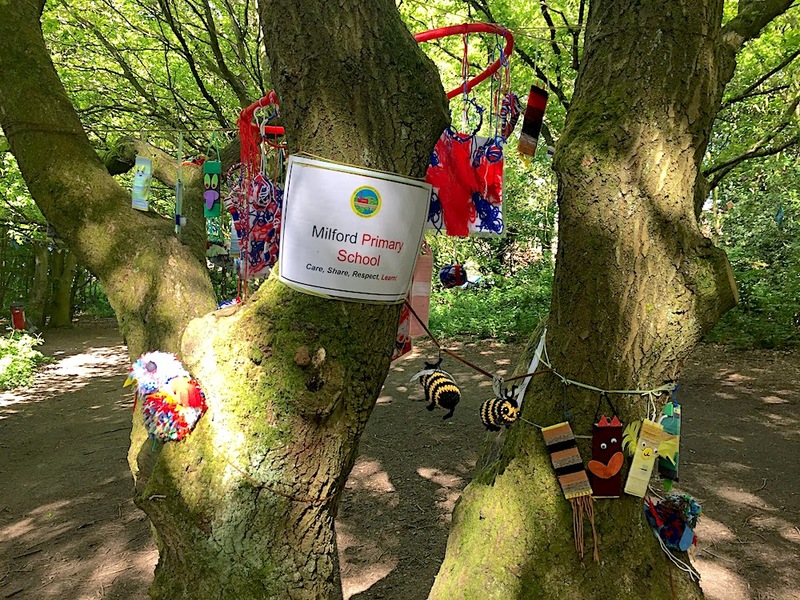 There were also a number of schools who joined in and decorated trees for the woods, these included Long Row in Belper, Milford Primary School and St John’s School Ripley. 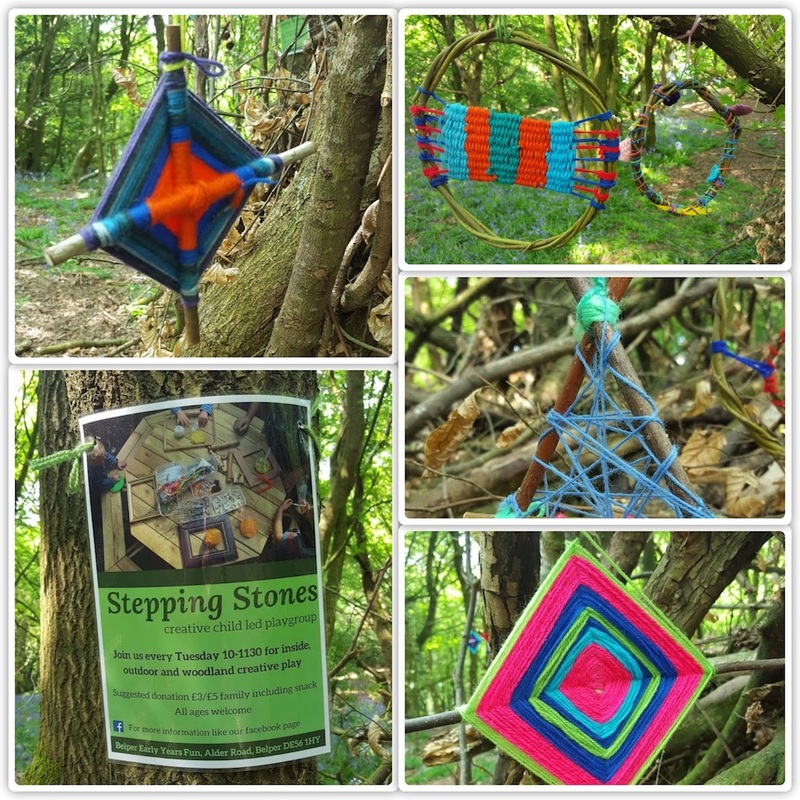 Stepping Stones Creative Playgroup decorated the area around a large den made from sticks and branches. 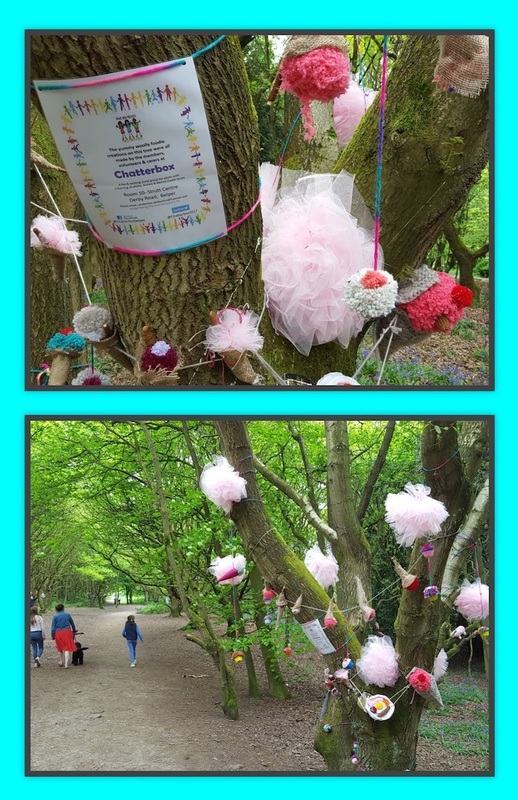 There was also a tree decorated by tree Tops nursery Belper who I know visit the woods regularly. For the second year Spencer Grove Care Home decorated one of the trees. 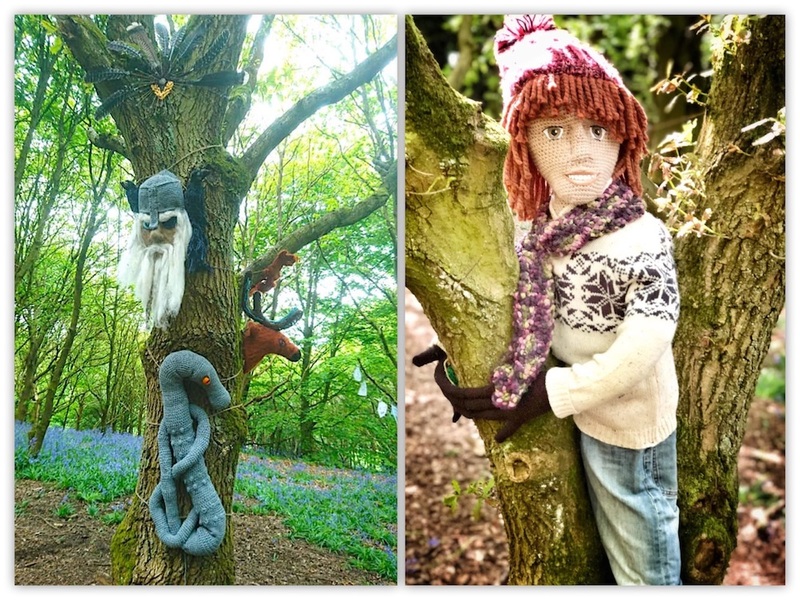 Two of the many new trees this year were the Secret garden and the Wizard of Oz. 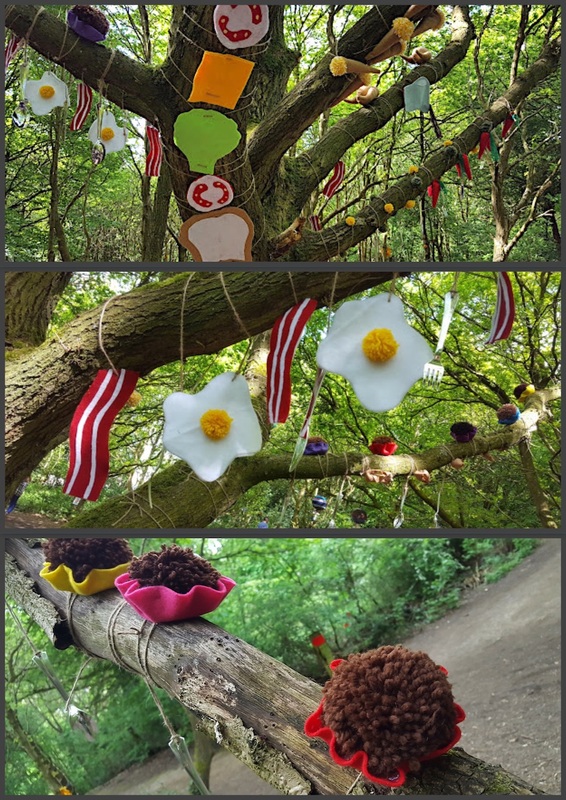 There was a tree hung with bacon and eggs, ice cream cones, roast chickens with gravy, delicious muffins, carrots and sprouts and a deconstructed sandwich. 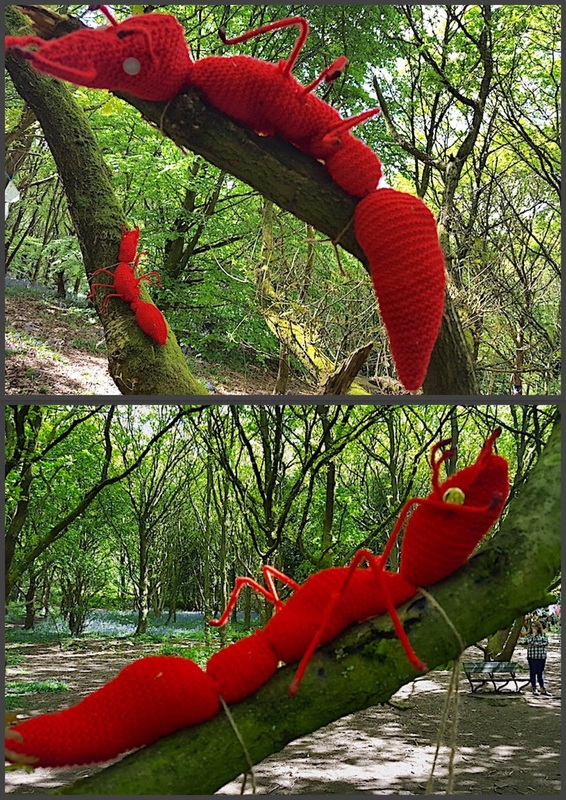 One of the trees was seen to have an infestation of giant red ants. 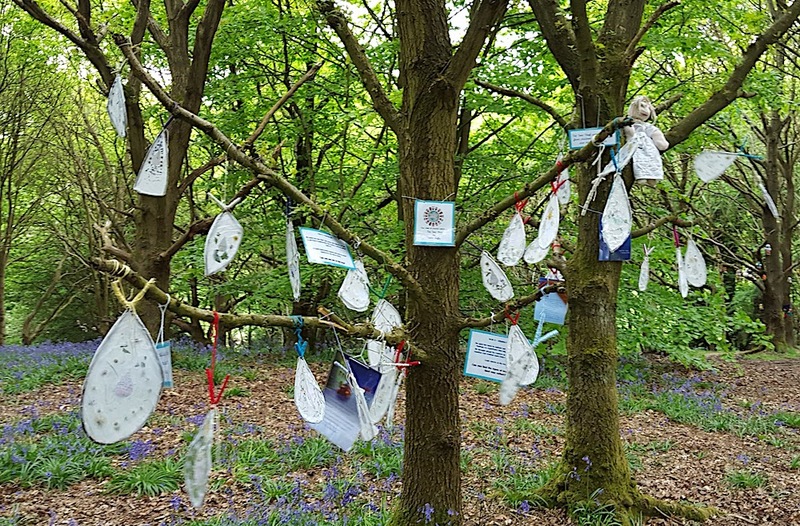 There were so many trees in 2018 that it is impossible to include them all in this blog . 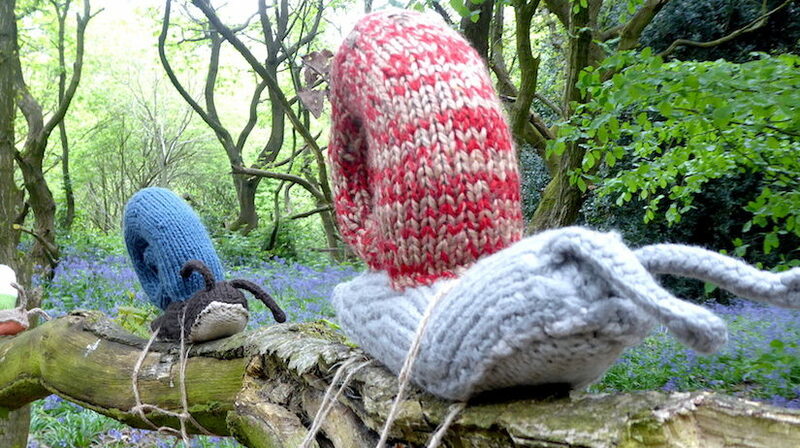 There are many more photos on Belper Woollen Woods Facebook page. I am really grateful to all those who took part in the event this year and I know others are already making plans for 2019 which is exciting.